All art aspires to the condition of music, said Walter Pater in a famous essay on the school of Giorgione. But what is “the condition of music”? The poet Rilke believed that music was that heart-space grown out of us which could take us to the deepest dimensions of our lives. Subsequently, avant-garde artists of all media have tended to agree with both Pater and Rilke. In particular, strong bonds have been forged between the worlds of jazz and free improvisation and the plastic arts. The words of Dizzy Gillespie, from his autobiography To Be Or Not Bop, are typical here: “In improvisation,” said the great trumpeter, “ the first thing you must have is the sight of a gifted painter. You´ve got to see colours and lines in music, and then you´ve got to be able to mix the colours and draw the lines.” Eric Dolphy agreed: his first two albums featured original images by Richard Jennings, a Surrealist-oriented painter friend, and in June 1962 Dolphy participated in a multi-media event in Washington with abstract painter Paris Theodore and a ten-piece dance ensemble. One of the last quotations in Derek Bailey´s classic 1980 book ´Improvisation: Its Nature and Practice in Music´ comes from the Italian Futurist Marinetti, while the late German musicologist Peter Niklas Wilson devoted much of his 1999 book ´Hear and Now´ to a consideration of the parallels that might exist between the world of contemporary improvisation and a variety of image-making today. The lecture considers some of the chief aspects of this rich cross-disciplinary theme, from the era of Rilke and Kandinsky to today, and with the aid of slides, original works of art, and videos. Prof. Tucker´s academic background is in the cross-disciplinary history of ideas, art and culture, withan emphasis on the 19th and 20th century studies. He has developed several unique undergraduate elements of study at Brighton, including multi-media courses in Scandinavian Studies c.1850-Now, Jazz Studies and Nada Brahma: The World is Sound, and is particularly interested in the idea of shamanism as a means of revisioning the critical import and potentiality of the arts today. His special fields are: 20 th century poetics, 20 th century painting; primitivism in Western culture, with special reference to shamanism; Scandinavian art & culture c. 1850 – now; jazz/contemporary music. He has organised many musical events at the University, including a November 1999 month-long celebration of ECM Records, Munich, and is a regular reviewer and contributor to ´Jazz Journal International, Avant.´Professor Tucker´s recent projects include the first British exhibition of the work of the Czech-born, Swiss-domiciled artist Jan Jedlicka (March 2003) and Dream Traces: Contemporary Australian Aboriginal Art (April/May 2003) – the first in a projected biennal series of Breathing World exhibitions largely but not exclusively focused on the art from beyond mainstream European culture. He is currently supervising several cross-disciplinary PhD theses and is a member of the Faculty´s ´Memory, Identity and History´ research groups. He has participated in Total Music Meeting 2003 with a brilliant lecture on the music and paintings of Alan Davie (“the painter of jazz this century”) showing rare slides and video excerpts. 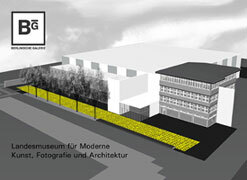 He is working on a book on Munch and Cézanne and preparing a major exhibtion on Miro´s public art.